Brand: Senda Verde is a brand of acclaimed importer Winesellers, LTD. Celebrating its 40th anniversary this year, the family run company was awarded “2015 Importer of the Year” by Wine Enthusiast Magazine. Founded in 1978 by Yale Sager, Winesellers has over 3 decades of experience as a family importer of family wineries, from both well-known and unique wine regions around the globe. 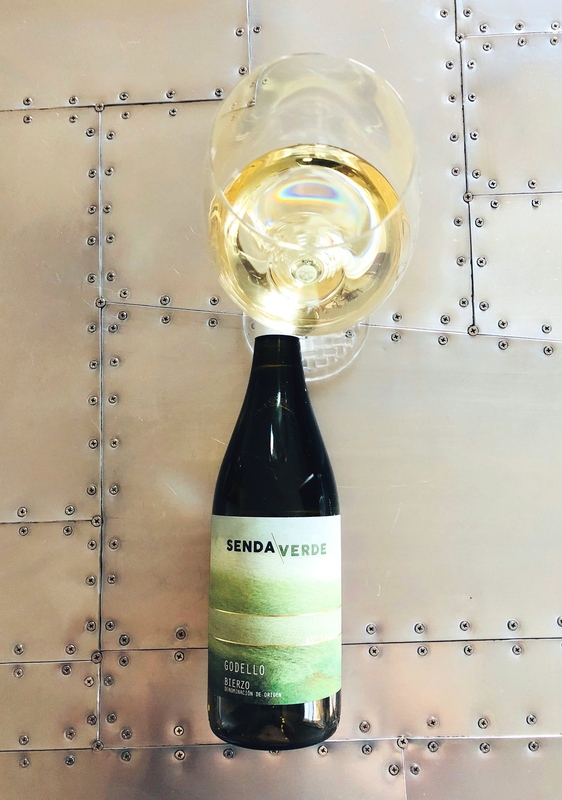 Senda Verde brings together artisanal wines from unique regions in northern Spain that follow the 43°N parallel, from coastal Galicia eastward along the northern coastline. Lush and green, the region is known as “España Verde” [Green Spain]. Winemaking: Grapes are hand harvested from vines 40+ years old in slate, granite, alluvial stones and gravel soil. Cold fermented, aged on the lees for about 4 months, then bottled. Tasting Notes: Pale gold in colour with aromas of lemon, chalky minerals and an herbaceous trace. Vivid lemon, yellow apple and pear are framed by bright acidity. Crisp citrus and clean minerals linger between each sip. Bright and clean, fantastic for sipping on its own or with fresh food, especially grilled veggies. Pairing Suggestions from the Winemaker: An excellent choice with grilled fish or poultry. Sample submitted for review purpose. Copyright 2011-2018 Caravino, Inc. All Rights Reserved.